​Barcelona midfielder Ivan Rakitic has been linked with a summer move to Serie A side Inter, despite the Croatian recently giving reassurances that he'll stay at the Nou Camp. Rakitic, who joined the Spanish champions from Sevilla in 2014, has made 33 appearances across all competitions for Barca this season, scoring four goals and providing six assists. Despite being a key player for Ernesto Valverde's side, ​La Gazetta dello Sport report that ​Rakitic could leave the Catalan club this summer, citing a potential move to ​Inter. The Italian outlet claim that the upcoming arrival of Frenkie de Jong at the end of the season, as well as the possible signing of Adrien Rabiot, has seen the 2018 World Cup finalist question his role at the club, resulting in him asking Barca's club president, Josep Maria Bartomeu to sanction the move. Details of the potential move suggest the Serie A side would offer €90m for the midfielder - €30m less than his €120m release clause - as well as offering him €5m a season to ply his trade at San Siro. 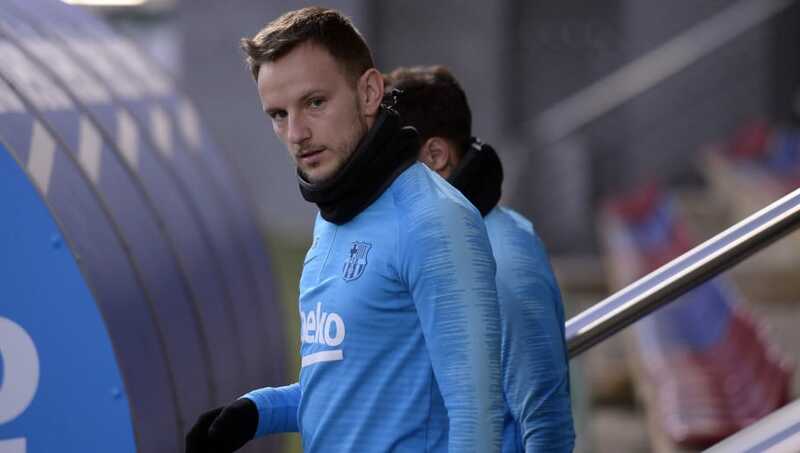 News of Rakitic's possible departure however does come after ​the midfielder insisted he was 'happy' at Barcelona at the end of January and is looking to extend his time at the club, with his contract set to expire in 2021, while more recently, ​his agent branded a summer departure from the club as 'impossible'. The Croatian has enjoyed plenty of success during his time at Barcelona, helping them win the treble of La Liga, the Copa del Rey and Champions League in his first season in 2014/15, with the club on course to match that feat again this campaign.